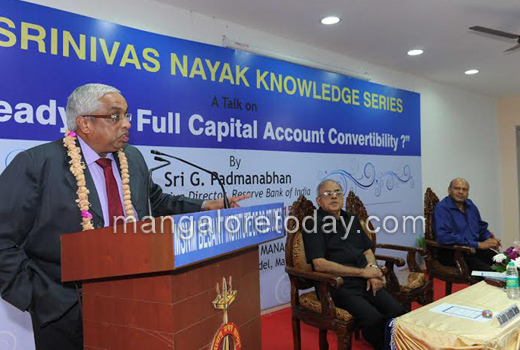 Mangaluru, May 17, 2015 : A globalised economy like India has to be closely integrated with full capital account convertibility, said G Padmanabhan, Executive Director of RBI. 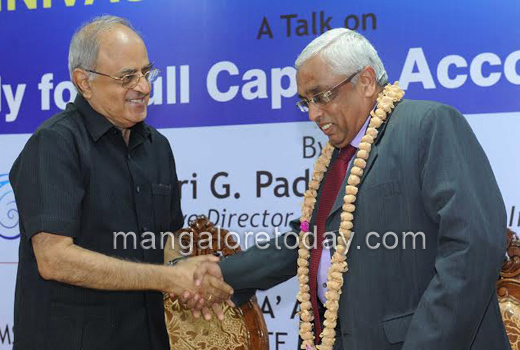 Giving a talk on “Is India Ready for Full Capital Convertibility?” at the Manel Srinivas Nayak Memorial Besant Institute of Post graduate Studies premises at Bondel on May 16, he said resisting liberalization over an extended period may prove futile and counterproductive. Continuing, he said full capital account convertibility can be achieved only when there is good fiscal management and low inflation. In a diverse and developing nation like India both fiscal management and inflation have their own dynamics and logic, he further stated. 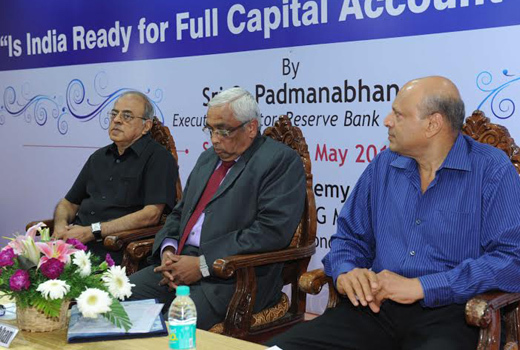 Padmanabhan further said that good policies and effective regulatory frameworks will help in boosting the financial sector and also in achieving sustainable growth. 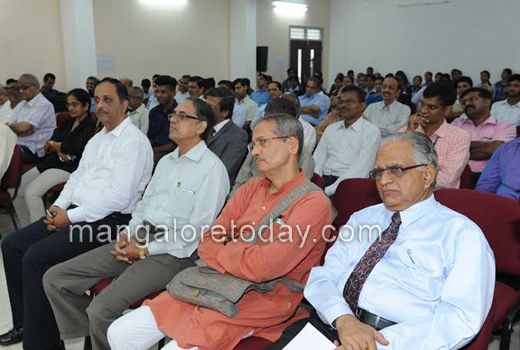 Kudpi Jagadish Shenoy, President, Governing Council of MSNM Besant institute and Annappa Nayak, Vice President of the Governing Council were present among others.